This aeroponics diy project starts out as a simple one tote low pressure aeroponic system. You can expand it to include more than one tote and a reservoir. This was the first aeroponic system I built. It was trouble free and produced very good yields. It’s layout also became the basis for my high pressure aeroponic system. 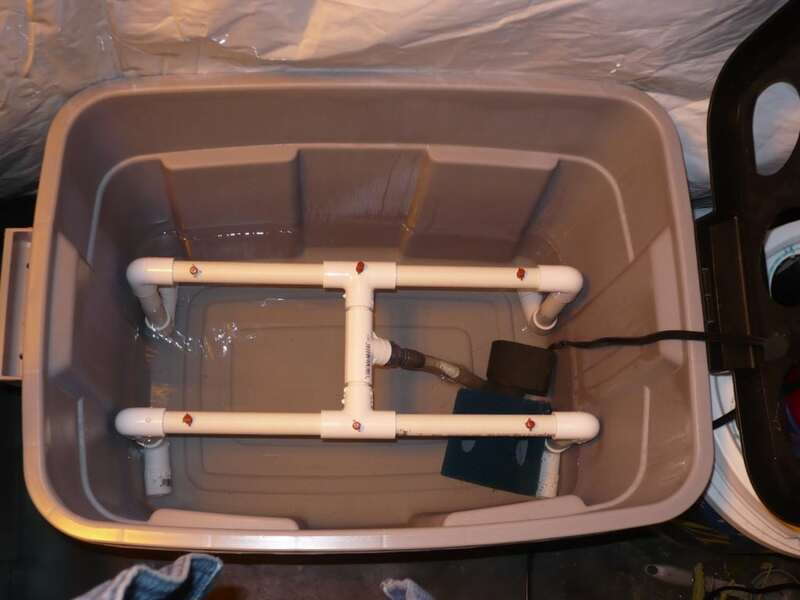 This single tote aeroponic system is easy and cheap to build. It’s also highly portable and self contained with the pump inside the tote. Just add water and plug it in and you are ready to go. 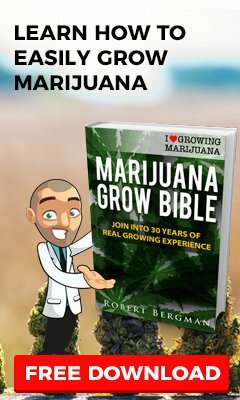 You can use this system to clone, for vegging or even for flowering so it’s highly adaptable. The reason I went to high pressure was part curiosity and a desire to use less water and less nutrients. 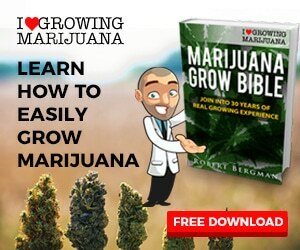 I have a stealth grow in a second floor apartment and having all that water around with the potential to leak on my neighbors heads made me nervous. So first lets talk about totes. I have tried several and most of them leaked. The one that didn’t was the Rubbermaid Roughneck 18 gallon tote. They only cost about 10 bucks at any Home Depot and they measure: 23.9″ L x 15.9″ W x 16.5″ H. They are 16.5 inches high as you can see, so this leaves room for the roots to hang down. They also come in a larger 31 size that measures 32.3″ L x 20.4″ W x 16.7″ H, but I have not been able to find them locally. Because of the high water output and lack of leaks I really recommend using these totes. It’s like they were made for the job. OK, once you have your tote or totes you need to decide how many and what size holes you are going to cut in the top. If you are going to flower or veg in it then I recommend using 3 inch net pots because they are more stable. Unless plants get very tall and top heavy you may not even need to support them. 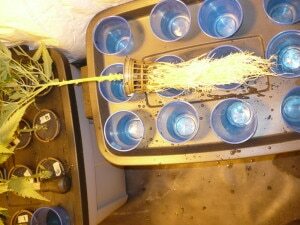 With 3″ pots I use 3 rows with 4 plant slots in a row. You don’t need to run them all but it’s nice to have the extra spaces. You can drop a net pot and insert or a party cup in the ones you don’t use. I generally leave at least one blank for filling and draining the tote. 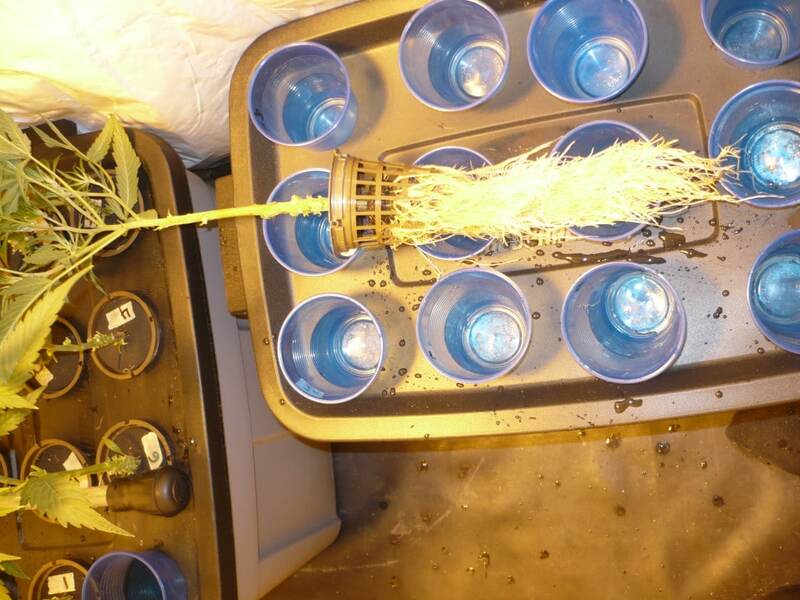 If you want to use it as a cloner you may want to use 2″ pots instead. Obviously you will cut more holes and probably have more rows in that case. I designed this tote to have 3 rows and use a two row manifold centered on either side of the middle row, with three sprayers on each. You may want to modify the manifold if you are building a cloner but the two row manifold works great for vegging and flowering. Before you cut any holes in the lid please read this! Even though they are called 2 or 3″ net pots they require a hole 1/8 inch smaller. If you use a 2 or 3″ hole saw they will fall through! You will need either a 1 7/8 or 2 7/8 hole saw which is not a common stock item at most home improvement stores. I found it easiest to order mine from Amazon. You will use 1/2 inch PVC for your manifold. Don’t use 3/4″ pipe. It’s too big and will drop the pressure too much giving you poor coverage. If you cut carefully you can build this with one length of pipe. Before you move on to building the manifold you will want to measure how far apart the 2 rows should be. You want them centered between row 1 and 2 and between row 2 and 3. I don’t have exact measurements for you. Make the length slightly shorter that the tote. I used legs about 3 inches high with elbows on the end and a short capped stub. You can turn them to lock them into the corners and they will keep the manifold in place. The top of the spray heads should be fairly low in the tote. You want them to spray up from bottom to top. You can turn the vanes at different angles and fine tune where most of the water is spraying. If you place them too high up water will probably get forced under the lid and the tote may leak. I found 3 or 4 inches height to work well. Don’t glue the pipe together. Your pressure will be low, only about 1 psi so no need. You can get the 1/2″ male barbed fitting at a hydro store or you could use a 1/2″ PVC waterline fitting but they are a bit larger so you will want to put the tubing in hot water so it stretches easier. The pump comes with 2 1/2″x3/4″ barb fittings so another option would be to use them and find a bushing to bring the tee up to 3/4″. Put the manifold in the tote and put the top on. Make sure the two lines are centered between the 3 rows. Then measure where the holes for the sprayers will go. You really only need 3 on each length. The holes need to be drilled 10/32″. If you buy the set with the drill you won’t have to worry about drill size. You need to push down while screwing in the spray heads. They can sometimes be a bit stubborn to get in and you can grab them with a set of vise grips and twist as you push down on them. After drilling make sure you remove all bits of plastic inside the spray manifold or they will clog your spray heads! Screw your 1/2″ barbed fitting into the center tee fitting. The pump comes with a mounting bracket with suction cups on the bottom. I recommend sliding it off the pump body and letting the pump sit directly on the tote bottom. It’s not going anywhere once you connect it to the other end and it will sit lower allowing you to keep the water level lower inside the tote. Hook the pump up to the manifold, fill it up, plug it in and you’re ready to grow. You can run this system 24/7 for clones but you will get better results if you use a timer. I run a cycle of 1 minute on and 5 minutes off with good results. 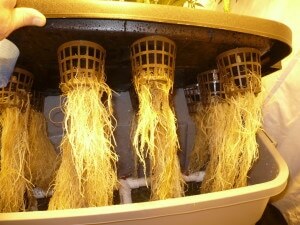 Even clones benefit because they actually root faster if they are somewhat water hungry. If they are continually wet there is no reason to grow roots in a hurry.